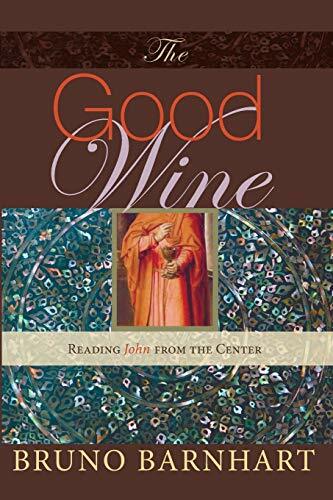 The Good Wine is an exciting and challenging overview of the gospel of John. Bruno Barnhart has created a mystical roadmap of the biblical book, which is often considered the most difficult and theological of the four gospels. Following the lead of Peter Ellis, Barnhart has organized the whole of John's gospel around a single truth: that God poured divine reality into humankind through the person of Jesus Christ. This belief stands at the center of the gospel, and every episode in the narrative refracts the light of that core affirmation. The gospel, when interpreted this way, assumes a mandalic pattern in which all parts are related to the center and through it to each other. 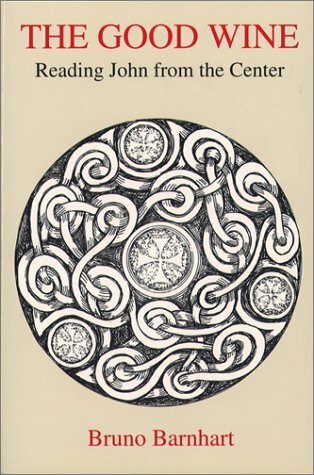 The mandalic pattern is also a gate of entry for believers who seek to relate their own destinies to the Source of Life. This book differs from other treatments of John's gospel in that its method is sapiential, following the wisdom-tradition of the church fathers. It explores the symbolic significance of the gospel and pays attention to chiastic textures which establish patterned, repetitive relationships between narrative episodes. The result is a deeply spiritual work that explodes with flashes of illumination for persons who come to the gospel jaded with traditional scholarship. Bruno Barnhart is a Camaldolese monk who divides his time between New Camaldoli Hermitage in Big Sur, California, and a new monastic foundation in New Hampshire. He holds degrees in chemistry from Rensselaer Polytechnic Institute and Dartmouth College and a licentiate in theology from the Pontifical College of Sant' Anselmo, Rome.